← A Polish Girl Gone Wild! 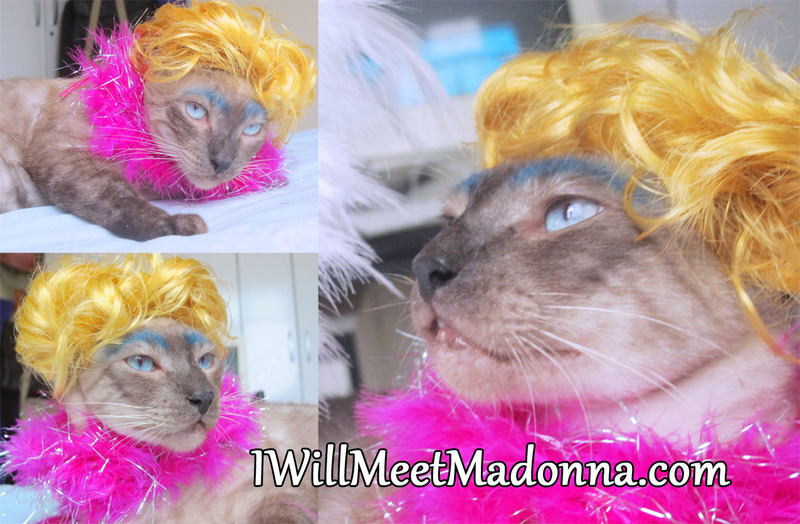 Miaura, my drag queen cat, is the next star of my video that I will publish on Sunday, April 22nd And to celebrate this moment, I’ll make the sweepstake of The Immaculate Collection. To participate, check this pic bellow from the making of from my next video (pictures by the cat lover Emanuela Ribeiro) and tell me which Madonna’s song the cat is gonna perform . Like our Facebook page (Facebook.com/iwillmeetmadonna) and send your answer until Sunday (April 22th – 12h Brazilian Time GMT -3). This entry was posted in Sweepstake, Video and tagged Emanuela Ribeiro, Facebook, Guy Oseary, Liz Rosemberg, Madonna, Miaura, The Immaculate Collection. Bookmark the permalink.